"The 'practical and cost-effective' Irving Picard…can 'supervise a very complex case very effectively.'" 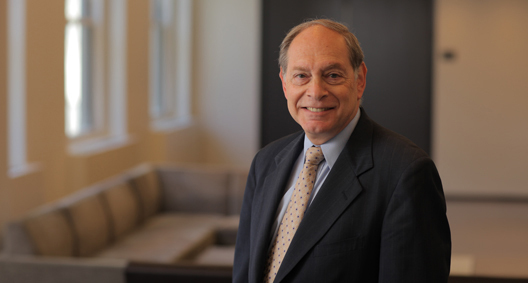 Throughout his nearly 50-year legal career, Irving Picard has focused his practice on the complexities of bankruptcy, restructuring and creditors’ rights, and he is a leader in the field of trusteeships and receiverships. Picard currently serves as court-appointed trustee under the Securities Investor Protection Act (SIPA) for the liquidation of Bernard L. Madoff Investment Securities LLC (BLMIS), an unprecedented global recovery effort stemming from one of the largest financial frauds in U.S. history. In addition to serving as a court-appointed trustee for securities brokerage house liquidations under SIPA more than 10 times, Picard has also served as counsel to trustees under SIPA, counsel for Chapter 11 creditors' committees, SEC receiver in a Ponzi scheme case, and disbursing agent. In 1979, Picard was appointed as the Department of Justice's first United States Trustee for the Southern District of New York, a position he held for nearly three years. From 1976 through 1979, he served as Assistant General Counsel of the Securities and Exchange Commission. Picard is ranked in Chambers USA: America's Leading Lawyers for Business, where he has been described as "extremely intelligent, a great analytical thinker" (Chambers USA 2014), and he is listed in The Best Lawyers in America® in Bankruptcy and Creditor Debtor Rights/Insolvency and Reorganization Law. The Madoff liquidation continues to be a topic of global interest. Picard has been tapped by leading news organizations to discuss the groundbreaking – and heartbreaking – case and to shed light on what the world can learn from it. With this Trusteeship, Picard and the case have come into an international spotlight, and have been widely reported on by major media including CBS’ 60 Minutes, ABC Nightly News, Bloomberg TV, NPR, CNBC, Fox Business, The New York Times, the Wall Street Journal, Associated Press, Financial Times, Reuters, USA Today, Forbes and many others. On June 25, 2012, the Supreme Court of the United States denied two petitions for writ of certiorari brought by objecting parties against the SIPA Trustee’s net equity methodology. The SIPA Trustee's approach had been, without exception, upheld by all lower courts. On March 1, 2010, the United States Bankruptcy Court for the Southern District of New York granted the SIPA Trustee's motion for an order denying customer claims for amounts listed on the last BLMIS customer statements and affirming the SIPA Trustee's determination of net equity. In August 2011, the United States Court of Appeals for the Second Circuit upheld the SIPA Trustee's use of the "cash in, cash out" net equity formula for the liquidation of BLMIS. Petitions for a panel rehearing of that decision were denied. This led to the filing of the petitions for writ of certiorari by certain appellants. With the Supreme Court's announcement of the denial of the petitions for writ, the appeals process concluded regarding the net equity issue. On January 1, 2009, Rosenman Family, LLC filed a complaint seeking the return of $10 million deposited only 10 days before BLMIS collapsed. The SIPA Trustee moved to dismiss the complaint, arguing that Rosenman Family LLC was a BLMIS "customer" as defined under SIPA and could recover only through the customer claims process. The Bankruptcy Court dismissed the Rosenman complaint and both the District Court and the Second Circuit affirmed that dismissal, finding that Rosenman's $10 million deposit was property of the BLMIS estate, and that the timing of the deposit was irrelevant. To be deemed a customer, as defined by SIPA, a claimant must have an account in his/her own name at the bankrupt broker-dealer in order to qualify for SIPA protections and benefits. On June 11, 2010, the SIPA Trustee filed a motion to affirm his determination in the BLMIS liquidation. The motion addressed claimants who had invested in BLMIS indirectly through 16 so-called feeder funds. On June 28, 2011, the Bankruptcy Court affirmed the SIPA Trustee's treatment of the feeder-fund claimants, finding that their investments in the feeder funds could not be termed as individual accounts at BLMIS, and that the SIPA Trustee was right to deny their claims for SIPA protection. Twenty-seven notices of appeal were filed with the District Court, and on January 4, 2012, the Court upheld the SIPA Trustee's position. On January 6, 2012, four appeals were taken to the Second Circuit and on February 22, 2013, the Second Circuit affirmed the decisions of the District Court and the Bankruptcy Court. Flinn Investments filed a motion to dismiss the SIPA Trustee's complaint, disputing whether the SIPA Trustee may, consistent with non-bankruptcy law, avoid transfers that BLMIS purportedly made in order to satisfy antecedent debts. The complaint also cited the United States Supreme Court's decision in Stern v. Marshall and questioned the authority of the Bankruptcy Court's "judicial power" to resolve the fraudulent transfer claims, before and after final resolutions. On December 19, 2011, the parties agreed to a settlement and stipulated to the dismissal of the action, which was so ordered by the District Court on January 9, 2012. On November 14, 2011, the SIPA Trustee filed a motion seeking affirmation of his determination that participants in ERISA plans were not BLMIS "customers" as defined by SIPA and affirmed in other court rulings. On or around January 17, 2012, approximately 18 opposition briefs to the SIPA Trustee's ERISA motion were filed and certain claimants also filed motions to withdraw the reference from the Bankruptcy Court to the District Court, which were granted. On July 25, 2012, the District Court affirmed the SIPA Trustee's position, and found that the ERISA claimants were not "customers" under SIPA because they did not deposit money directly with BLMIS for the purchase of securities and did not own the assets of the ERISA plans that were deposited with BLMIS. No appeal was taken. On October 12, 2012, the SIPA Trustee filed a motion seeking affirmation of his position that customer claims under SIPA should not include Time-Based Damages, which was supported by SIPC in a Memorandum of Law filed the same day. Approximately 1,200 objections have been raised regarding the "Time-Based Damages Issue," in which certain claimants assert that customer claims should be recalculated with an interest factor or a constant dollar adjustment. Most commonly, the objectors seek an increase in their claims based on the time they were invested with BLMIS, using the New York State prejudgment rate of 9 percent per annum, lost opportunity cost damages, or the consumer price index to take inflation into account. On September 10, 2013, the United States Bankruptcy Court for the Southern District of New York granted the SIPA Trustee's motion and affirmed his denial of time-based damages adjustments to customer claims. That decision is currently on appeal to the United States Court of Appeals for the Second Circuit. Until a final, unappealable order is reached on the issue of time-based damages, the SIPA Trustee must hold a court-ordered reserve of approximately $1.375 billion. The SIPA Trustee has commenced numerous actions to enjoin third-party lawsuits that seek to circumvent the SIPA Trustee's avoidance actions. On May 1, 2009, the SIPA Trustee commenced such an avoidance action against Stanley Chais and Pamela Chais, certain members of their family, and a number of related trusts and entities seeking the return of more than $1.3 billion under SIPA, the Bankruptcy Code, the New York Fraudulent Conveyance Act, and other applicable laws in connection with certain transfers of property by BLMIS to or for the benefit of these defendants. In January 2012, the SIPA Trustee commenced an action to enjoin third-party lawsuits. On April 2, 2012, certain of the Chais Defendants moved to withdraw the reference to the District Court on several grounds, and the motions were granted. On July 18, 2012, the Court ordered the parties in both actions to participate in a joint mediation. The parties are still engaged in follow-up discussions in furtherance of the mediation. Among the injunction actions sought by the SIPA Trustee are actions to enforce the automatic stay established by the Bankruptcy Code and related District Court stays, and to enjoin third-party actions seeking to circumvent the orderly claims process established by the SIPA Trustee. Picard v. Fox seeks to enjoin third-party actions that were commenced to prevent the SIPA Trustee's $5 billion settlement with the estate of Jeffry Picower. The Bankruptcy Court's automatic stay and the December 15, 2008 stay order of the District Court were upheld and the Fox third-party actions were declared void. On January 13, 2011, the Bankruptcy Court approved the settlement and granted the requested permanent injunction. On March 26, 2012, the District Court affirmed the Bankruptcy Court's opinion in Fox and approved the settlement, ruling that the Fox plaintiffs were properly enjoined because they jeopardized the estate's ability to recover fraudulently transferred assets. The Fox Plaintiffs filed notices of appeal to the Second Circuit on April 24, 2012. The parties are awaiting a decision. On June 22, 2009, the SIPA Trustee commenced an adversary proceeding against Cohmad Securities Corporation and several of its executives and other related defendants seeking the return of more than $245 million under SIPA, the Bankruptcy Code, the New York Fraudulent Conveyance Act, and other applicable law. The complaint seeks to recover the fictitious profits withdrawn by the Cohmad defendants and the return of commissions and fees transferred directly from BLMIS. The Cohmad defendants filed motions to dismiss, which were denied on August 1, 2011, based on the finding that the transfer amounts in excess of their principal were not transferred for reasonably equivalent value, and that the defendants lacked good faith in receiving commissions from Madoff. The parties are currently engaged in discovery. First person to hold this position; appointed by the Attorney General of the United States. Oversaw criminal references, dealt with district court and appellate litigation and represented Commission in connection with legislation that became the Bankruptcy Reform Act of 1978 (Bankruptcy Code).